The new center will inspect, maintain and repair all brands of lift and access equipment at the facility or on location at a customer’s job site. 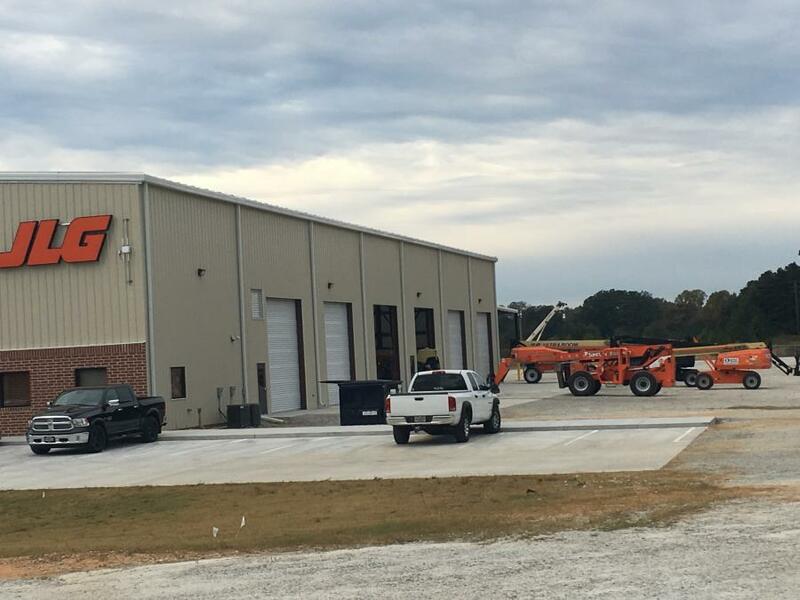 JLG Industries Inc., an Oshkosh Corporation company and a leading global manufacturer of aerial work platforms and telehandlers, recently opened a new service center in Hiram, Ga. The 14,400-sq.-ft., eight-bay Atlanta-area facility joins the growing list of JLG service centers that includes facilities in Houston; Riverside, Calif.; Hagerstown, Md. ; and the Rock Hill, S.C., opened last year. The new center will inspect, maintain and repair all brands of lift and access equipment at the facility or on location at a customer's job site. The list of services includes quarterly and annual ANSI-required mobile elevating work platform (MEWP) inspections, preventive and planned maintenance, light and heavy repairs, and mobile service for customers who preference on-site service of their equipment. "We provide comprehensive service for JLG and non-JLG branded equipment to help maintain the overall health of our customers mixed equipment fleets," said Andy Tacelosky, JLG Industries chief operating officer. "Strategically located centers like our newest location in Atlanta enable us to respond quickly to the needs of our customers and their customers, increasing the amount of uptime of their machines, which boosts productivity and drives down total cost of ownership." To learn more about the JLG service offering, please visit www.jlg.com/en/parts-services/service-center-locations. For more information about JLG, visit the website at www.jlg.com.